OOOOh, those leaves are turning! 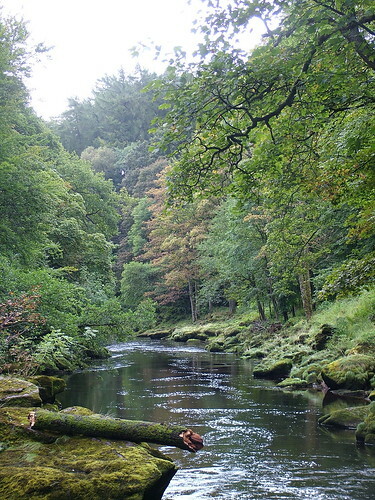 Gratuitous picture of the Wharfe where is comes out of the Strid bottleneck, looks inviting, but it’s really a killer. 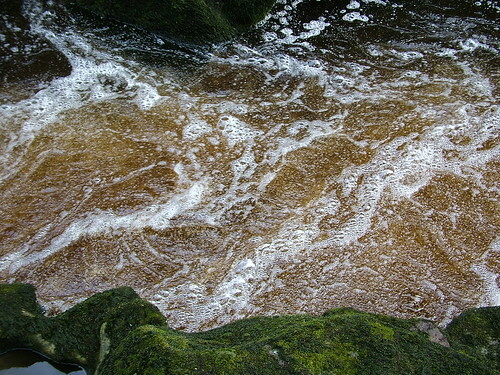 Here are some of the Strid Autumn fruits. 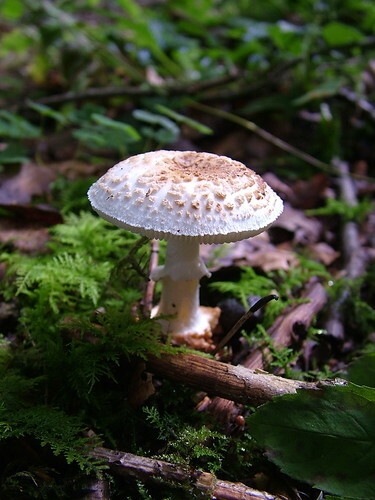 I’m not sure about this one, but it could be a Shaggy Parasol, very handsome anyway. 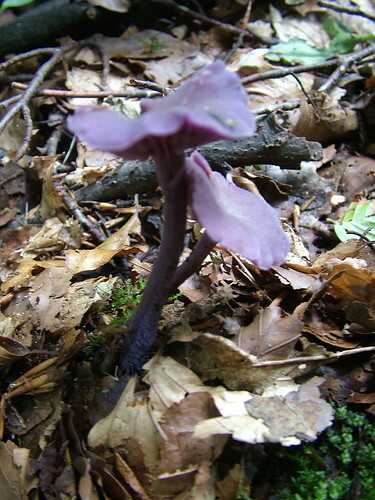 This one just looks poisonous I think it may be Amethyst Deceiver Laccaria amethystea, if it is, it’s edible. These are very prolific round the bodgery, growing through the woodchip from when the massive beech was felled over a year ago. 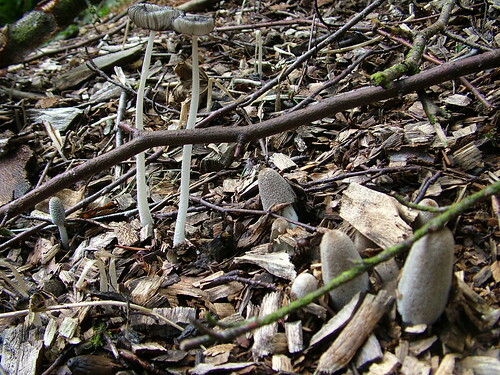 They have hairy caps, rather than the shaggy ones on Inkcaps, not sure what they are, they quickly mature into the tall ones in the background. Last night was Dales Jam practice at Skipton Auction Mart. Craven College occupy part of the same site, and their Heritage Skills Department are setting up a dry stone walling exhibition centre. It looks very good so far! 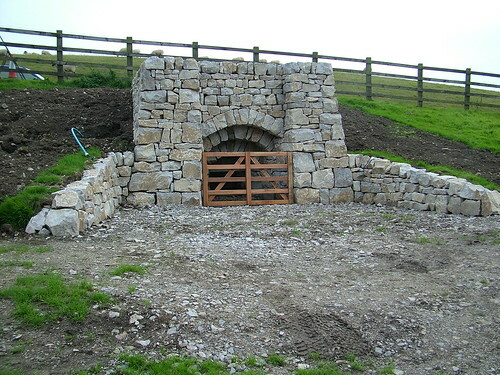 This is a lime kiln made into a sheep fold, there are many old lime kilns aroung the limestone areas of The Dales and even one about 300 yards from home here on the banks of the Leeds Liverpool canal, presumably built there to use coal barged in. This beautiful curved piece includes a cripple hole (or hoil) as we say around here. It’s a sheep-sized gate hole, usually blocked by a stone flag when not in use. Here’s an example of a field shelter. I love the batter on the internal arris of the walls. And this one is just so good, I’m adopting it as my header for a while. 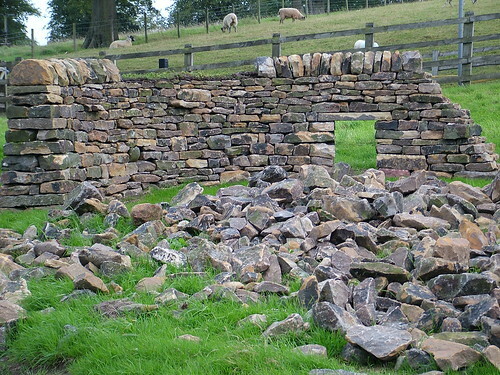 I think this is a very positive development, I have been feeling a bit fed up by the sight of many walls falling down through neglect round The Dales, and had then decided that they were mainly a product of The Enclosure Acts, which were A Bad Thing, but turns out some of the walls are dated way beyond that piece of silly nonsense. But now there seems to be a real impetus to get people interested and trained in this ancient skill, great! 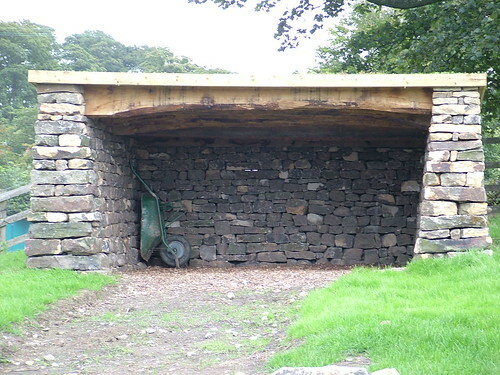 This entry was posted in Appropriate technology, Autumn and tagged drystone walling, fungi, Strid, toadstools, walls by Flying Shavings. Bookmark the permalink.